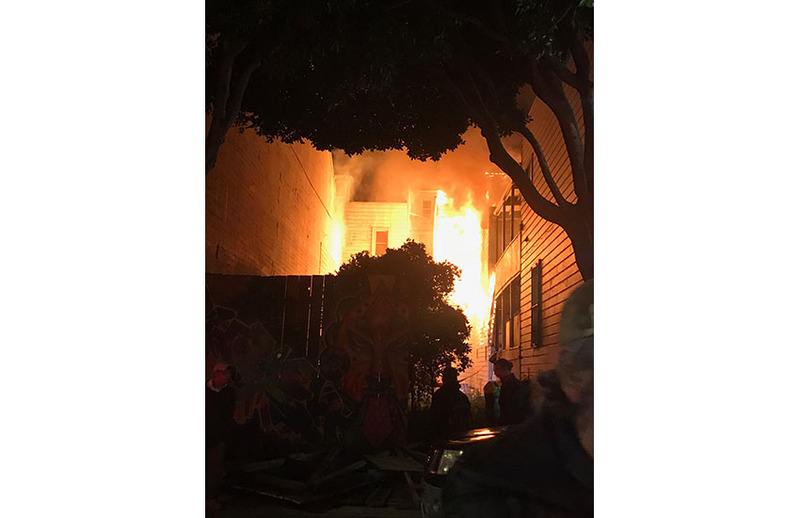 Fire erupts and displaces 11 tenants from buildings on Shotwell St.
A two-alarm fire displaced 11 people Wednesday evening after engulfing one three-story building south of 24th Street on Shotwell and spreading to a second building next door. No one was injured. 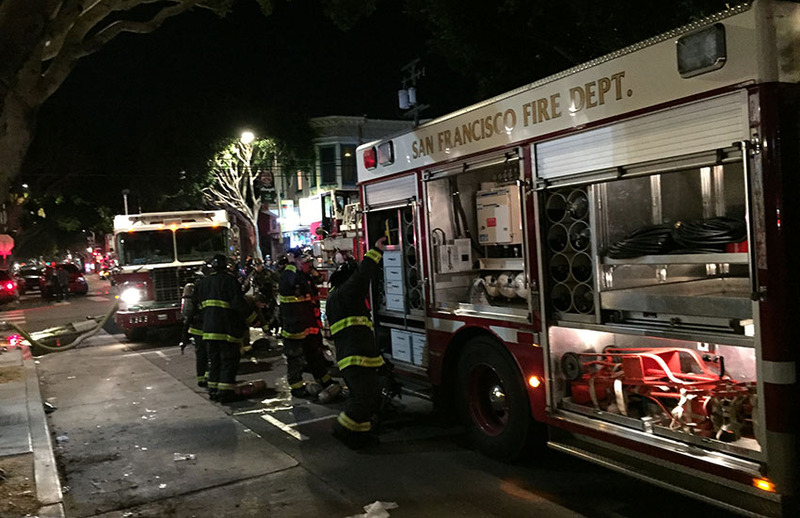 Jonathan Baxter, a spokesperson for the San Francisco Fire Department, said the call came in at 6:31 p.m.and engines set out to 1007 Shotwell St., just south of 24th Street. 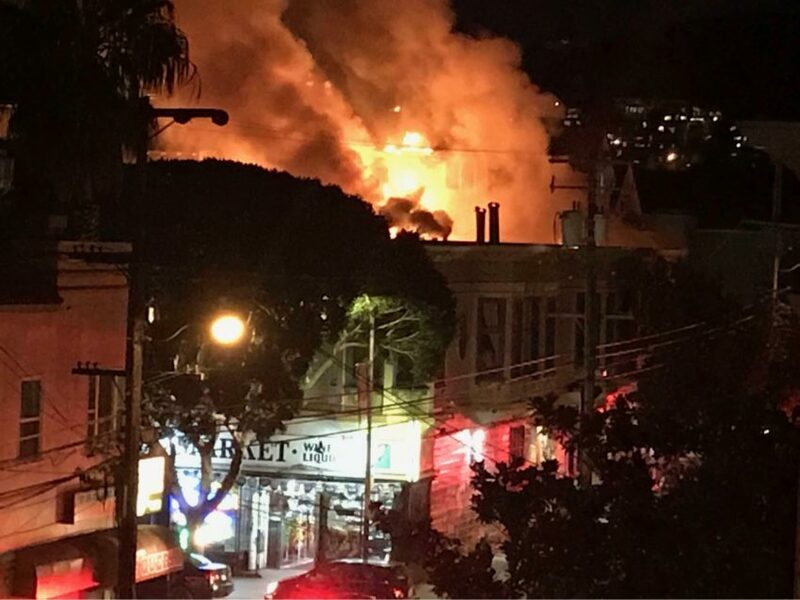 The crews arrived to find heavy fire in the building, and it had spread to 1011 Shotwell St. At that point, he said, they called the second alarm. 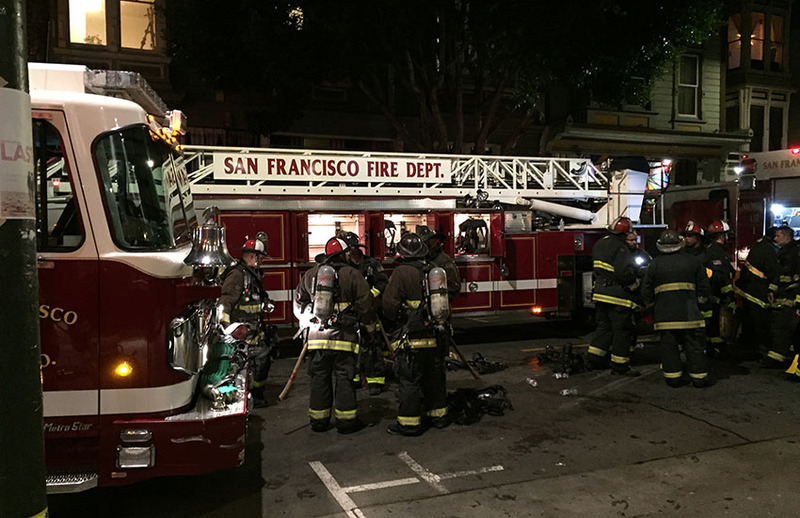 The fire was under control by 7:36 p.m. Three people were displaced from the first building to catch fire, and eight from the neighboring building. Sanford said she had just rounded the corner of 24th and Shotwell when several fire trucks passed her. It took a moment to realize that it was her home that was in flames. All of the residents were able to escape unharmed, including one person living in a detached cottage at the rear of the building who is currently on crutches. Several dogs live in the building too, Sanford said, and all were able to get out. Now, the question is what belongings might be saved. 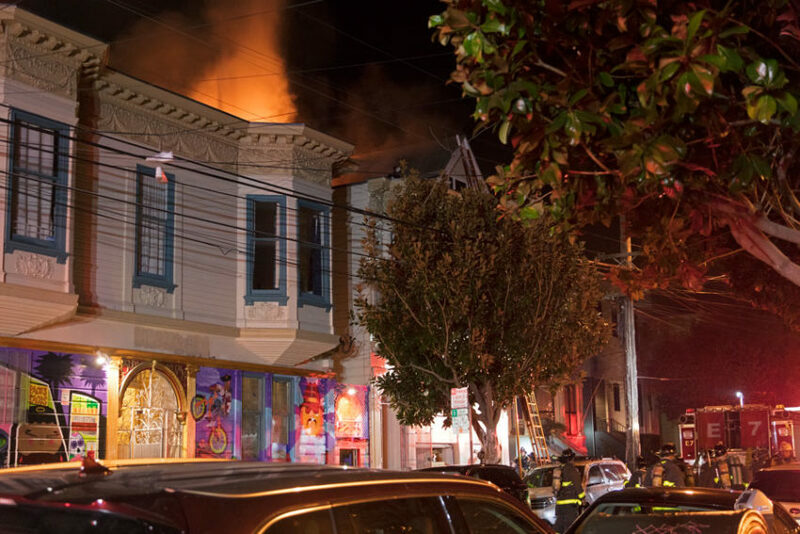 Even after the flames were controlled and ostensibly out, firefighters roamed the building, lamps and flashlights lighting up the rooms full of smokey haze inside — visible from the street because the building’s siding had been, in many places, completely destroyed. Firefighters are investigating the origin and cause of the fire but did not specify where it started Wednesday evening. Sorry, this link should work! Let’s get organized as neighbors to support those that are displaced.